If you're considering a move to the greater Raleigh area, or just a relocation within the Triangle, you've probably wondered how much the yearly property taxes will be for your new home. All NC counties revalue real estate every few years. For instance, Granville County reevaluates every eight years - per NC requirements. This procedure allows the Tax Department to adjust the appraised value of real estate to reflect the property's true value in light of changing real estate market conditions. 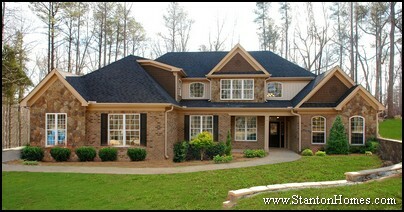 Looking for New Home Builders in North Carolina? 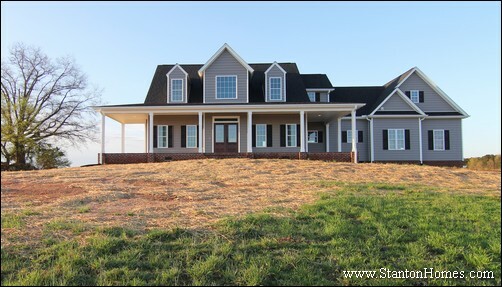 Stanton Homes makes building your new custom home easy! We'll guide you through the entire process - select from thousands of different floor plans, and hundreds of different locations. Your custom home is going to be extraordinary when you create it with one of the nation’s top fully involved builders and the high quality materials and craftsmanship that our reputation is built on. 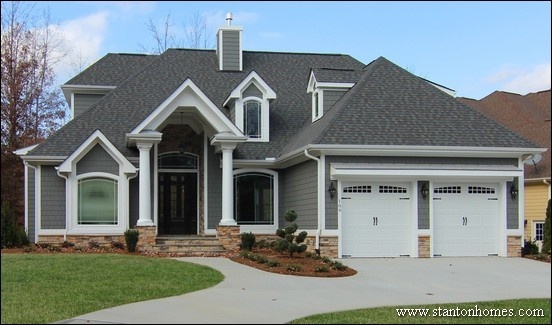 Call 919-278-8070 to find out more about raleigh custom home builders. One of the top reasons to build a custom home is the freedom to choose a home plan that suits your lot, and create a home that's perfect for the place you want to live. But before you fall in love with a floor plan, talk to "on your lot home builders" about your lot or homesite - and keep in mind that the characteristics of your lot can dictate what you can build there - from your building envelope to the spot where your home will sit, the type of layout that it will be able to support, and the architectural elements you can showcase. For example, hillside lots are great for daylight basements, so choose a builder and a plan that can take advantage of the view, like the Treehouse - pictured here. 1. Look at lot size and dimensions. Choosing a home plan that suits your lot starts with knowing the shape of your lot - it can determine the shape of your home, as well as where it will sit. The length and width of the lot can serve as as a general guideline for on your lot home builders. For instance, a skinny, long lot may require a narrow house plan or a front-entry garage. A good example is the Amazing Grace, specially designed to fit into a very small footprint, with a creative approach to including a main floor master, formal living, family room, and first floor office. And the Cove was designed for a lot with special requirements that determined the shape of the home. 2. Determine the features you need. 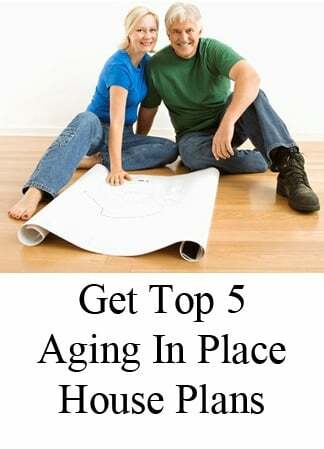 Are you looking for house plans designed with universal living, accessibility, or aging in place features in mind? These kinds of requirements can work best on a single level - so a good question for an on your lot home builder is whether a lot is suitable for a one story home. 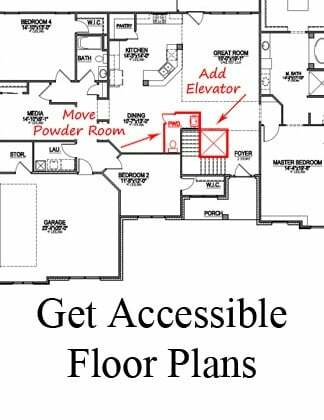 If you have to build up, you could be looking at the need for an elevator (like the elevator inside the home pictured here). 3. Take advantage of natural topography. Soil conditions in North Carolina allow for daylight basements as long as there's a slope on the lot (ask us for more details about building a basement home in North Carolina). For example, the Penelope was designed to maximize square footage on a lot that was perfect for a basement - and designed for a drive-under garage with a driveway that stretched out to one side. 4. Showcase natural features. Take advantage of all the reasons you choose to build in a particular environment - such as a wooded, hillside, or lake front lot - with a floor plan design that maximizes the visibility and utility of your natural surroundings. For example, the Kelley was designed with a full wall of windows to take advantage of the golf course view. 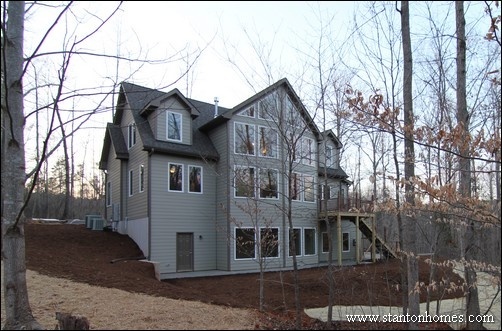 NC on your lot home builders such as Stanton Homes analyze your building site before they complete your design, to ensure that special aspects about your location are taken into consideration in the custom home that you create together. 5. Find inspiration and get creative. When you're choosing a home plan that suits your lot, check out custom home ideas on websites such as Pinterest and Houzz. You'll see photo galleries of our custom home projects that can serve as a starting place for a conversation about your own design. You might be surprised at how much already comes with your home, without having to do any upgrades. 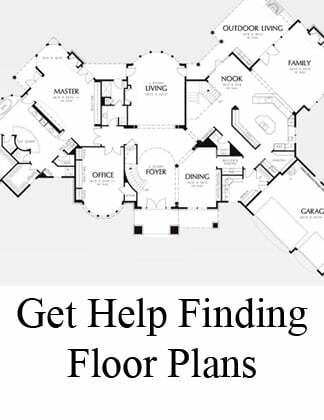 And you can almost design your floor plan yourself, with the help of our architectrual and interior designers. Bring us photos of homes you like, and ask if we can create something similar. Ask us to walk your lot and provide our builder's perspective about the kinds of plans will work best - we'll inspect your lot at no cost to you. 6. Think through the details. If you'd like a sunroom, on your lot home builders can determine your home's orientation, so you'll know how much sunshine to expect in that location. If you think you might want to expand your living space later, ask the builder to help you prepare for future changes - whether you're considering building onto the home, itself, or adding something such as an in ground pool. Tell us what you envision, and we'll help you create the environment you're looking for, with a plan that fits your lot, your location and your lifestyle. 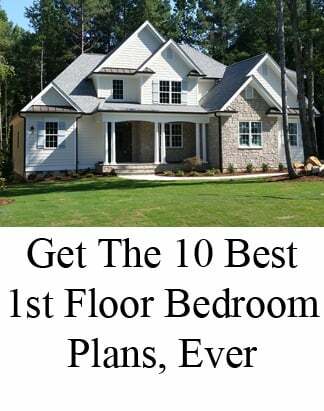 Contact us here for more great tips about choosing a home plan that suits your lot, and create a home that's perfect for the place you want to build.